Despite my fear of heights, I took up rock climbing. I had to. My future husband was dressed up as an old school mountain climber—complete with lederhosen—at the Halloween party at which we met, so I knew what I was getting myself into. It took me a year to be able to climb without bursting into tears at some point in the day, but eventually I learned to trust the physics behind the climbing ropes; the superhuman strength of fingers, toes, and mula bandha; and the promise of a breathtaking perspective of the world around me and my place in it. On one of our earlier trips, we stumbled upon a remote mountain town and found ourselves falling instantly in love with the pristine surroundings and its uber groovy people. We knew we had found our home. The challenge was figuring out how to get there full-time and make a living from such a remote neck of the woods. At the time, I was a full-time yoga teacher, but so was everybody in the town we wanted to land in—if you threw a rock, it would likely land on a potter or a yoga instructor. So I had to put my heart-centered entrepreneurial feeling cap on. I considered my new best friends in my heart—what their needs and interests might be—and I decided that I should make soap. Hemp soap, to be exact. I grabbed some books from the library and tried out a few batches to find out if I actually enjoyed making the stuff or not. Turns out making soap is very much like cooking. And I love cooking. Do Be Clean Handmade Hemp Soap ‘n Stuff was born. Lesson Learned: Think of the community you want to serve. Who do you secretly (or not-so-secretly) want to hang out with more? How can you merge your own interests and passions into something that they would appreciate and buy? Initially inspired by my hippie tribe, I found success back in the city selling my soapy wares to my corporate yoga clients and at local farmers’ markets. But sales were slow at our new home. I sadly discovered that when you threw a rock out of your deep strawbale window sill in this part of the world, it first hits a yoga teacher, then ricochets to hit a potter, and then finally lands on…a soapmaker. So I sold Do Be Clean and used my earnings to invest in the equipment and materials I needed to dive into my newest area of creative play—dyeing and spinning art yarn. Lesson Learned: There is never a wasted entrepreneurial attempt. You can always sell your intellectual property, your contacts, your name—or see how your skills and experience can be transferred over to your heart’s next calling. 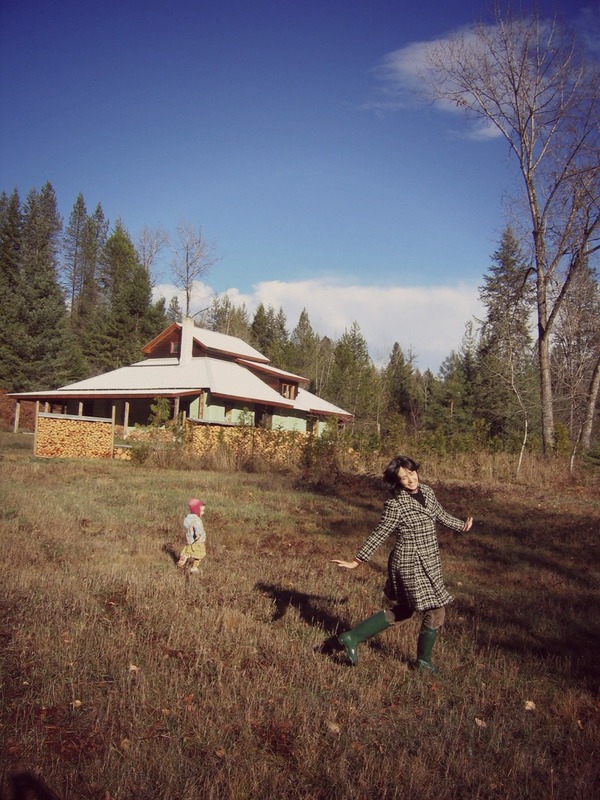 By now, we were in the midst of living out our homesteading dreams and my new livelihood resonated with my soul, as it echoed my core values of sustainability, creativity, and the imperfect beauty of simplicity. My daily rhythm consisted of preparing the fibre during the day, in between milking cows, making butter, homeschooling, sewing and gardening. And then, once the kids were in bed, I would post the yarn for sale on Etsy and continue spinning up more squishy goodness. But I started getting sleepy. And the sleepies were hitting me earlier and earlier until I saw that as a cue to shift focus again. 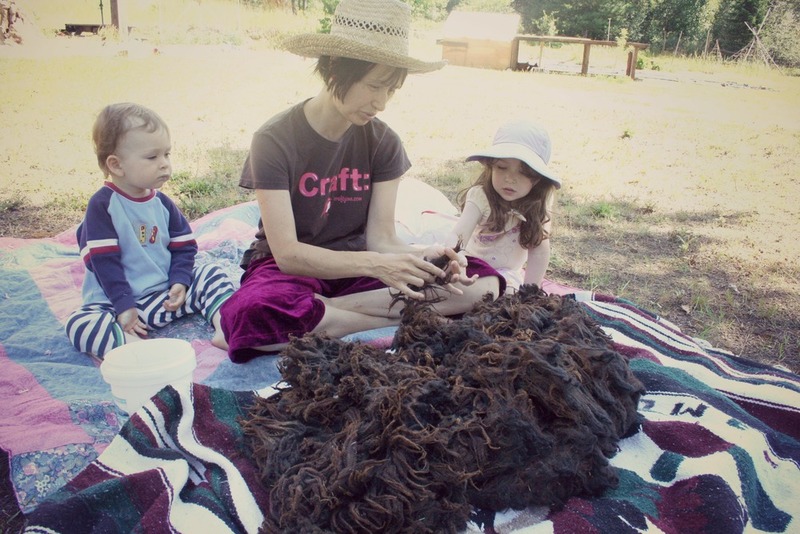 While I loved spinning and selling yarn, I was starting to feel burn out creep in. Moving away from the creep and following my heart, I created my first eCourse: the “Backwoods Mama Sew Camp”. Customers would receive downloadable sewing patterns for a five-piece hillbilly chic ensemble, along with a plethora of videos instructing them on the perfectly imperfect ways to get sewing projects done with even the rowdiest of munchkins around. Lesson Learned: Pay attention to your body’s cue that there needs to be a shift. If you start feeling resentment about any component of your venture, check in to see if it’s just a matter of needing to dive into deeper self-care practices or if it’s time to reconfigure your business model so you can have a greater return on your time investment by scaling your efforts. Then, my youngest turned four. (And I see this a lot with my own clients and students.) Perhaps it’s because a taste of freedom returns to a busy, super hands-on mama’s lips. But I wanted to dive deeper into the exploration of my life’s purpose. With the help of a coach, I began meditating on how I could more intimately serve the community of mamas following my blog. What were the questions I kept getting approached with by my readers and community at large? How can I use my skills, experience, and passions to make the world a more positive place to be? The question I kept receiving from my community was: How are you able to do all that you do? And I saw mothers neglecting to put their needs first due to the fast-paced speed of our mainstream culture and societal expectations. And, not to mention, all of the guilt. Both my readers’ question and this insight moved me to celebrate the simplicity principles I had been drawn to since I first discovered I was expecting my first babe. By simplifying our days, we invite more peaceful flow and holistic health to all in the family. Lesson Learned: Never stop asking the question of how you can best serve. I became a Simplicity Parenting Coach. The “Simplicity Parenting” book eloquently put into words what my emerging Mama Bear was aching for as I embarked on this full-on spiritual journey of not only motherhood, but being an entrepreneur, too. Then, I became certified as a Kaizen-Muse Creativity Coach to help facilitate the changes my clients wanted to see in their lives in creative, but powerful ways. These two coaching approaches melded together immaculately to birth my Mama Bliss Coaching services. Imagine a network of moms all over the world supporting each other toward deeper self-care, creativity, values, and simplicity and delivering some seriously blissful shifts to the planet and a model to our future generations of the importance of tending to one’s own needs first. I love looking back now and seeing how all of the pieces fit together. It’s safe to say I don’t regret a single action or decision that has brought me to this point. Lesson Learned: Periodically look back at all of your accomplishments and give your horn a little toot from me. You’ve done a lot in this lifetime, Mama! It all started with that cute guy, who I spotted from across the room, dressed up like one of the little von Trapp boys from The Sound of Music. And it continues on with my grand vision to see Mama Bliss Coaches offering workshops and one-on-one coaching all over the globe to help slow down our fast-paced lives, and deliver more peace, health, and positivity to the world—one blissed-out mama at a time. Kathy Stowell is the founder of Mama Bliss Coaching School—a twelve week training program for moms to coach other moms to deeper self-care, creativity, a values led-life and simplicity. She also writes at Bliss Beyond Naptime about how honoring four pillars of Mama Bliss can move a mama toward discovering her passions and calling outside of motherhood. Join Kathy for her next class which begins February 16th!